New Price! Crystal Metallic 2019 Ram 1500 Big Horn/Lone Star 4WD 8-Speed Automatic HEMI 5.7L V8 Multi Displacement VVT ABS brakes, Alloy wheels, Compass, Electronic Stability Control, Heated door mirrors, Illuminated entry, Low tire pressure warning, Remote keyless entry, Traction control. Recent Arrival! Red River Chrysler, Jeep, RAM and Dodge is your New Used Car Truck or SUV headquarters! Serving Heber Springs, Searcy, Batesville, Conway, Cabot and Mountain View, Arkansas! We will ship anywhere in the US! We offer competitive financing and have certified technicians to help with your maintenance needs. Call us @ 877-652-4076 or visit us at redriverdodge.com. White 2017 Ram 3500 Tradesman 4WD Automatic Cummins 6.7L I6 Turbodiesel Recent Arrival! 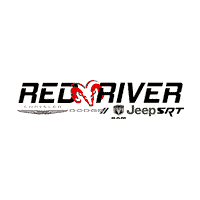 Red River Chrysler, Jeep, RAM and Dodge is your New Used Car Truck or SUV headquarters! Serving Heber Springs, Searcy, Batesville, Conway, Cabot and Mountain View, Arkansas! We will ship anywhere in the US! We offer competitive financing and have certified technicians to help with your maintenance needs. Call us @ 877-652-4076 or visit us at redriverdodge.com. Durability at its best. Something you can bank on. Come take a look at the deal we have on this durable 2017 Ram 2500. Ram has established itself as a name associated with quality. This Ram 2500 will get you where you need to go for many years to come. It is nicely equipped. Red River Chrysler, Jeep, RAM and Dodge is your New Used Car Truck or SUV headquarters! Serving Heber Springs, Searcy, Batesville, Conway, Cabot and Mountain View, Arkansas! We will ship anywhere in the US! We offer competitive financing and have certified technicians to help with your maintenance needs. Call us @ 877-652-4076 or visit us at redriverdodge.com. Black 2016 Ford F-150 RWD 6-Speed Automatic Electronic 2.7L V6 EcoBoost Recent Arrival! 19/26 City/Highway MPG Awards: * 2016 KBB.com Brand Image Awards Red River Chrysler, Jeep, RAM and Dodge is your New Used Car Truck or SUV headquarters! Serving Heber Springs, Searcy, Batesville, Conway, Cabot and Mountain View, Arkansas! We will ship anywhere in the US! We offer competitive financing and have certified technicians to help with your maintenance needs. Call us @ 877-652-4076 or visit us at redriverdodge.com. Red 2017 Nissan Titan SV 4WD 7-Speed Automatic 5.6L V8 4WD. Recent Arrival! Odometer is 13776 miles below market average! Red River Chrysler, Jeep, RAM and Dodge is your New Used Car Truck or SUV headquarters! Serving Heber Springs, Searcy, Batesville, Conway, Cabot and Mountain View, Arkansas! We will ship anywhere in the US! We offer competitive financing and have certified technicians to help with your maintenance needs. Call us @ 877-652-4076 or visit us at redriverdodge.com.